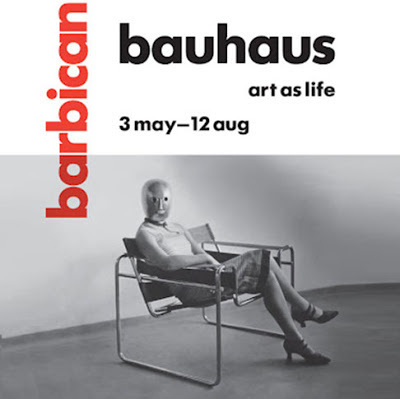 The Barbican Gallery in London is currently hosting 'Art As Life' - the biggest Bauhaus exhibition in the UK in over 40 years, and as part of our continuous professional development, the department has sanctioned a number of tutor visits to see it. 'Art As Life' is a visual narrative of the most influential art school of the last century, and features art, architecture, print design, textiles, film, interior & industrial design, and of course typography. The exhibition documents the amazing experimentation that the school pioneered, and shows how the political landscape of Germany in the Weimar years influenced the movement and its teachings. 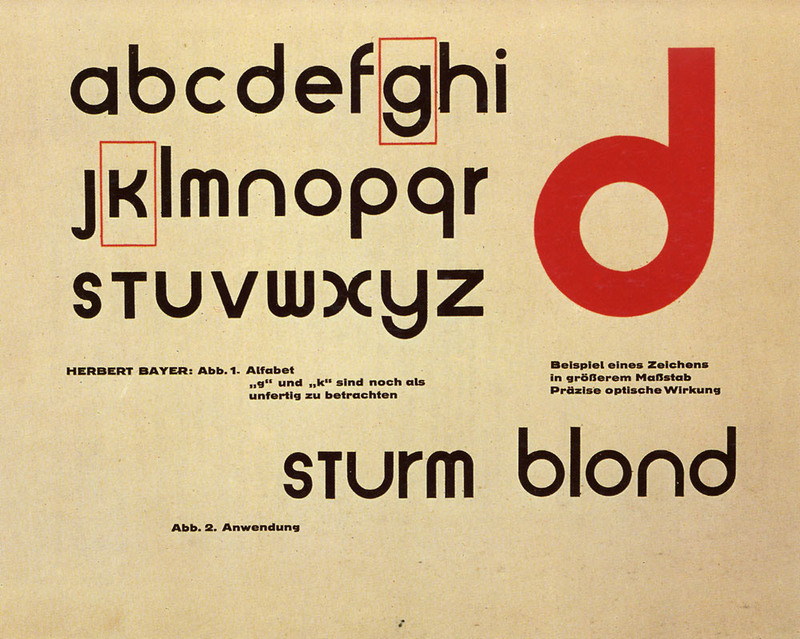 The work on display also explains how the eventual breakup of the Bauhaus (at the hands of the National Socialists), ensured that its founders dispersed to other parts of Europe and the USA to spread the teachings of the school and set the blueprint for modern architecture and visual communication. As well as brilliant art by Paul Klee, Wassily Kandinsky and Theo Van Doesburg, there is the avante garde photography of Laszlo Moholy-Nagy, the textiles of Gunta Stulzl, the graphics of Joost Schmidt and the fantastic typography of Herbert Bayer. This is more than just an exhibition - there is a public programme of workshops, talks, films and performances as well as the 'Art School Lab', a two-week summer school led by leading practitioners from all artistic backgrounds. The Barbican will also soon be announcing a date for typographer Erik Spiekermann to present a talk at the exhibition. Well worth going to, but note that photography isn't allowed, and when I was there on Monday the shop had already sold out of Joost Schmidt's famous lithograph poster Plakat zur Bauhaus-Ausstellung (1923), which I was hoping to put up in the studio.